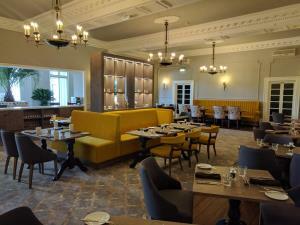 Windermere Hydro Hotel HotelOne of Windermere’s oldest hotels re-opened early 2017 after a multi-million-pound refurbishment. 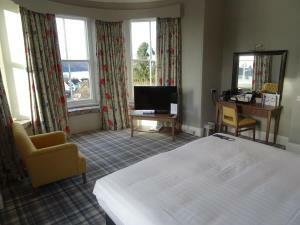 Overlooking Lake Windermere, The Hydro Hotel is perfectly situated for both leisure and business guests now offering 78, en suite bedrooms, all with differing design and style. We also have a lovely indoor pool as well. 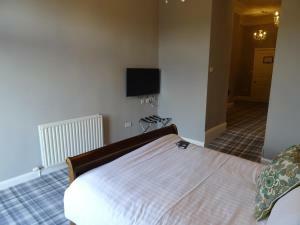 Windermere Hydro Hotel sometimes limits bookings to 2 or more days. LV Balcony sometimes limits bookings to 2 or more days. LV Suite Double sometimes limits bookings to 2 or more days. From M6 jct 36 follow A590/A591 dual carriageway towards Windermere. Continue for approx 7 miles until you reach a roundabout. Go straight on at the roundabout onto the A591. Continue for approx 7 miles until you see The Windermere Hotel on your right. Turn left and continue through the village on the one way system. Leave the village and drive downhill for approx 0.5 miles, past the health centre and school on your right, and police station on your left. As you enter the village of Bowness you will see the cinema on your right and shops on the left. Approximately 100 yards further down there is a left-hand turn between the Lakeland Shop and Basket ware Shop. This is Helm Road and The Hydro Hotel is situated at the top of the hill on your left.